Every woman in the congregation is invited to join Sisterhood. New members – your first year of membership is free. Congregation Beth Shalom Sisterhood is a member of the Women’s League for Conservative Judaism (WLCJ). Its mission is to strengthen and unite synagogue women’s groups and their members, support them in mutual efforts to understand and perpetuate Conservative/Masorti Judaism in the home, synagogue and community and to reinforce their bonds with Israel and with Jews worldwide. 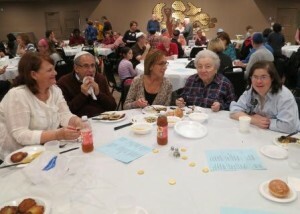 We provide a wide variety of events that appeal to different interests while promoting commitment and observance to Judaism, fellowship with other Jewish women and a sense of family in the synagogue. Many of our events are geared toward Sisterhood members, but guests are welcomed. We usually schedule programs Sundays or weeknights, but continually try to identify special interest groups in order to offer programs to the diverse interests of our membership. For information about the Beth Shalom Sisterhood Gift Shop click here. **If you are not a CBS Sisterhood member yet, it is not too late to join for the 2018-2019 year. Checks can be payable to Beth Shalom Sisterhood and be mailed to the synagogue office. 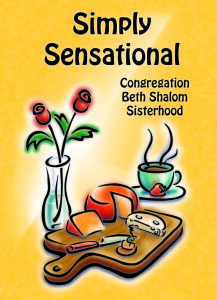 Sisterhood is the heart of Congregation Beth Shalom. Your contribution to the Torah Fund helps to preserve, promote and perpetuate Conservative/Masorti Jewish Education by supporting The Jewish Theological Seminary, Ziegler School of Rabbinic Studies, Schechter Institute of Jewish Studies, and the Seminario Rabinico Latino-Americano. Our catering program is one of our biggest efforts through Sisterhood. We offer affordable and competitively priced kiddush lunches for bar and bat mitzvahs and other simchas. We also provide weekly kiddush lunches on non-simcha weekends. We always welcome sponsorships for our kiddush meals, so that we can offer a delectable meal to all who attend Shabbat services. Come volunteer your time in the kitchen to help our caterer Jan Adler prepare a tasty meal. We are there on Thursday mornings or Saturday mornings between 9:30 AM and 1:30 PM. We schmooze, chat, cook and have fun. All congregants are welcome to help out. Do a mitzvah for the shul. Sisterhood prepared a new, user-friendly, kosher cookbook of your recipes, your bubbe’s recipes, your zaydie’s recipes, your kid’s recipes or your own favorites. This great Cookbook is now available at $18 at the CBS Gift Shop or in the CBS Office. Don’t miss out on this cherished book for all your cooking needs. There are recipes to please everyone from appetiziers to desserts. Many Holiday Dishes…. Please make checks payable to CBS Sisterhood- Send or leave in the Sisterhood box in the CBS Office.